We all love the idea of being comfortably seated in a limousine while someone else takes care of driving and everything related to it. When planning for a special event, considering a rental limousine is a great idea. You may think that it’s all about the built-in bar and the comfortable leather seats, but these are just a few reasons why you should hire a limousine service. Whether it’s for a business function, prom, a wedding or a vacation, a limo can provide a wide range of benefits. Your event can turn into a bigger success with the right service, and it can also ensure that the participants enjoy a stress-free ride. Still on the fence? 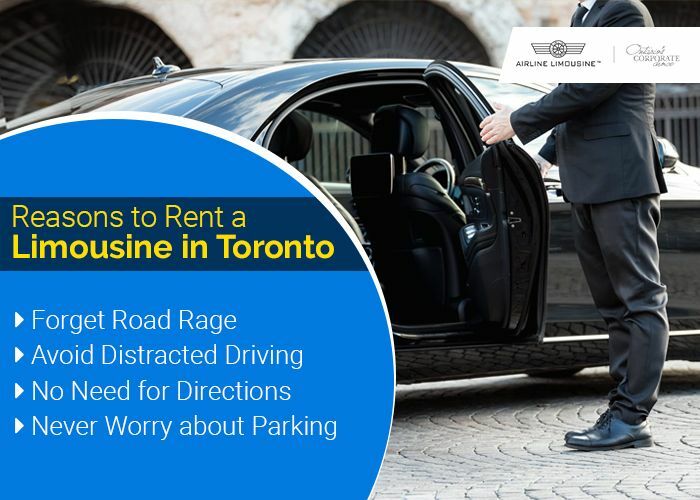 Read the following benefits to understand why you should consider hiring a limousine service in Toronto. It’s natural to get frustrated with other drivers when we are commuting from one place to another. However, this can end up ruining your mood and stop you from enjoying whatever event you are heading to. Dealing with road rage caused by others is never a pleasant experience as you arrive at the event stressed out or angry. If you hire a limousine service, you will have a chauffeur who can calmly manage the driving, and provide you with a chance to relax. You will be able to laugh with your fellow passengers while continuing with the camaraderie when you arrive at the event. This is turning into a major issue, but you shouldn’t let it ruin your special day. With a hired limo service, you don’t have to worry about paying attention to other vehicles on the road. You are free to use the ride to do whatever you want. Sit back and relax while you talk to your friends, family and co-workers. Enjoy a drink or two and get carried away listening to your favourite song. Additionally, you also get a chance to socialise with your co-passengers without feeling like you are missing out on anything or being distracted. 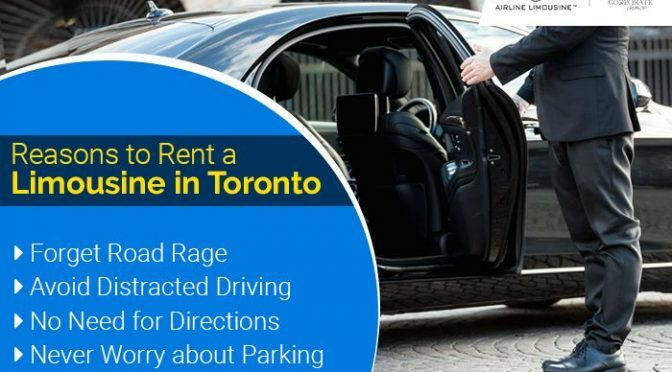 This is one of the most common reasons people should hire a limousine service, especially for those who are new to the area. You don’t need to stop anywhere to ask for directions, as companies generally use local chauffeurs who know their way around town. In most cases, alternative routes are provided to them in advance so drivers can take you to your destination promptly. This means that you don’t have to rely on your phone or the GPS, which isn’t always accurate. There are many times when you have arrived at an event, restaurant or hotel, only to discover there is no parking available. The closest spot may be far away and the weather conditions may not be favourable either. This is another reason why hiring a limousine service comes in handy. You don’t have to worry about finding a good spot, walking a considerable amount in uncomfortable dress shoes or driving around in circles. You will be dropped off and picked up right from the entrance of the venue. It’s really that simple and your chauffeur can make sure parking isn’t an issue. Any event can be made extra special by hiring a limousine service in Toronto. Not only will you arrive in style, but you will spend less time worrying and more time enjoying the company of your fellow-passengers.